The Czech Republic has no sea and no puffins. 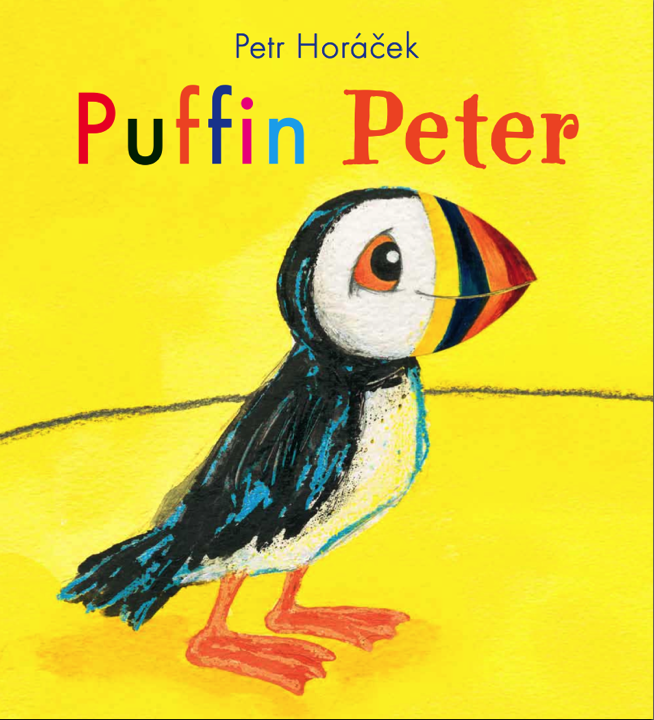 Being born in Prague I’ve lived almost 30 years without knowing what a puffin is. 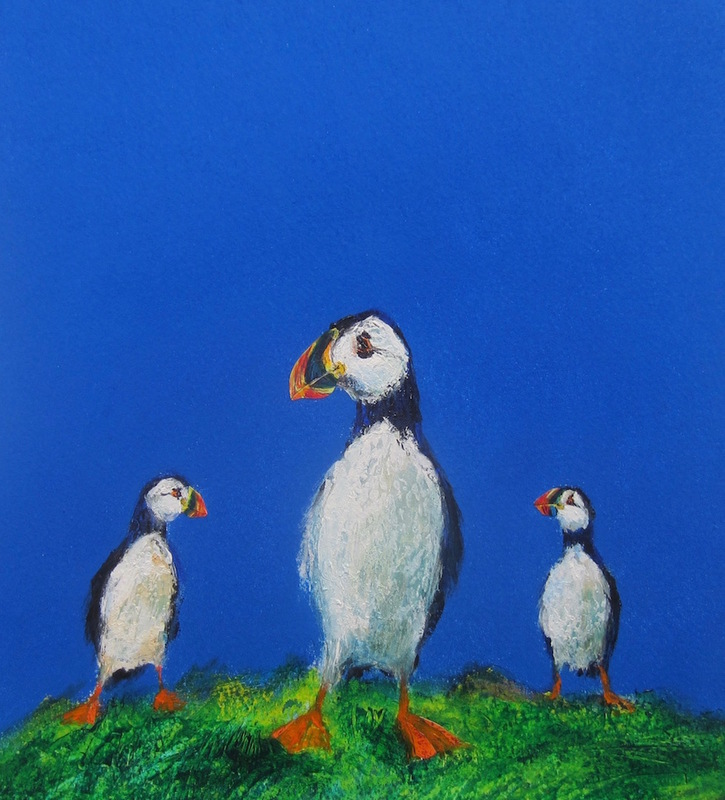 The very first time I heard about puffins was when I was asked to draw one for a charity auction. 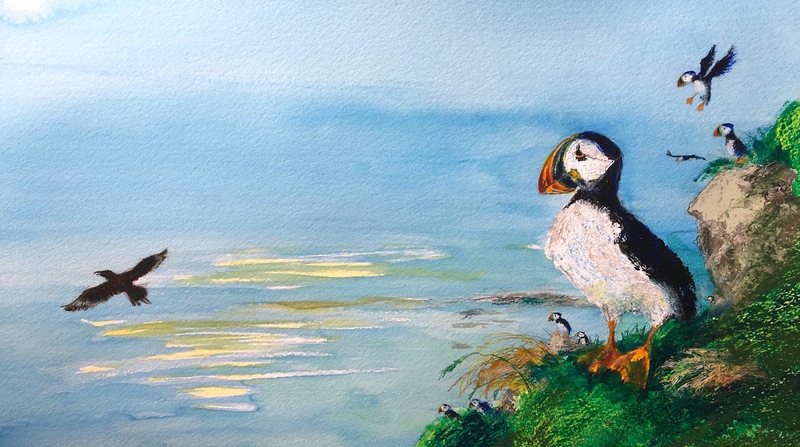 Lots of writers and illustrators did a drawing of a puffin. 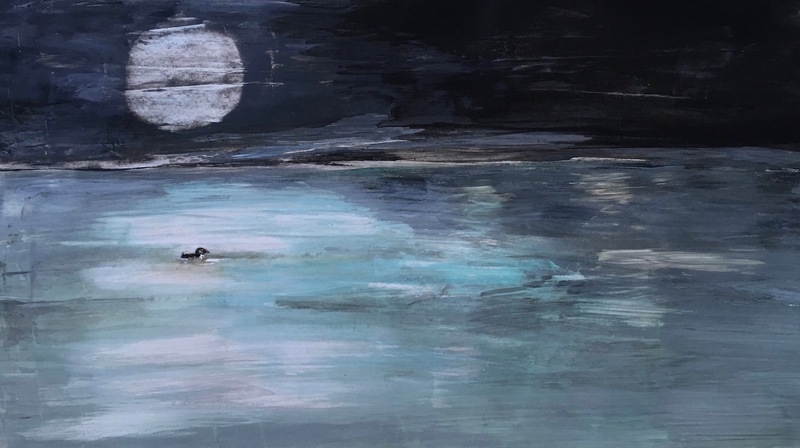 The drawings were auctioned and the raised money was used for the protection of these beautiful, interesting and rapidly disappearing birds. 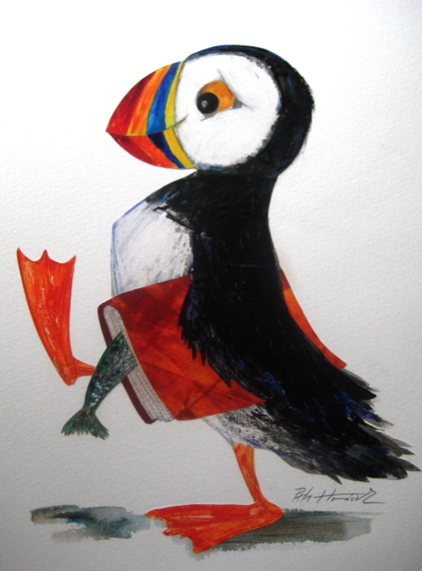 This was my very first drawing of a puffin. 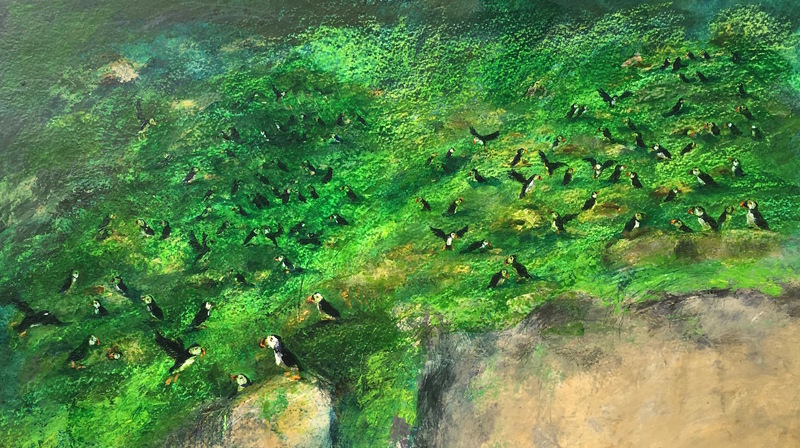 I’ve enjoyed drawing puffins ever since. 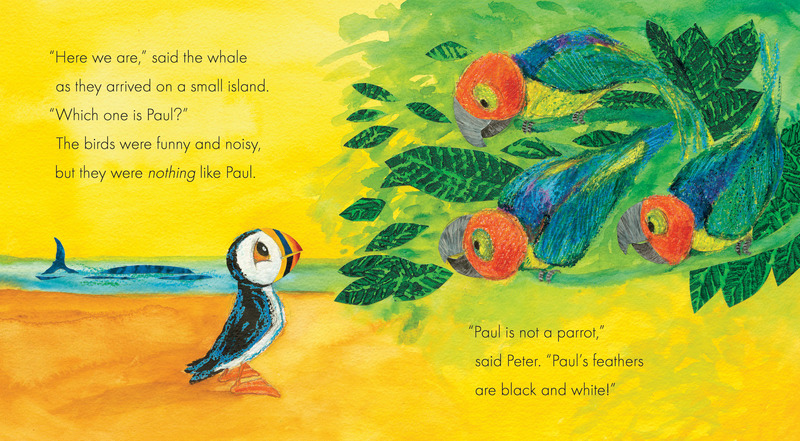 A couple of years later I wrote and illustrated a picture book called ‘Puffin Peter’. 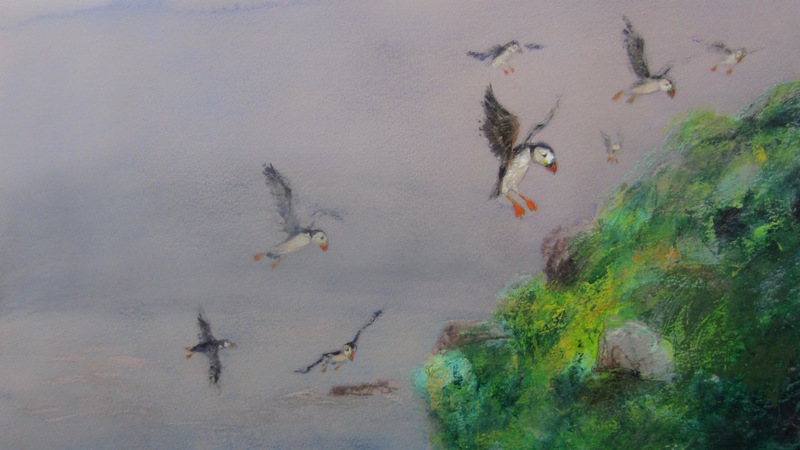 Today I am drawing and painting puffins once again. This time the book is written by the excellent writer and conservation biologist Martin Jenkins. Here are some of the finished illustrations. I love working on the book. I’ve learned a lot about puffins I didn’t know. 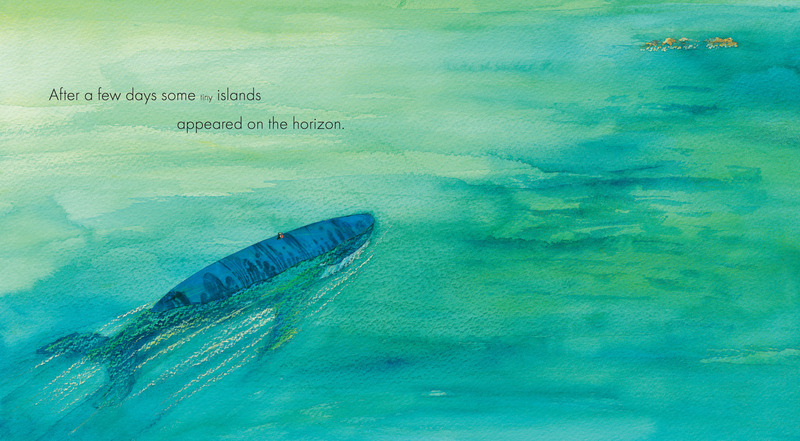 The illustrations for this book are a bit more realistic than I am use to doing but that is part of the fun. I like a challenge. The birds are arriving in the mist of the morning. There are quite a few of them. And who is on this picture? It is a little puffin chick leaving his nest for the very first time. In the dark of the night of course.